Hens are always on the lookout for that perfect venue, and with nothing but class, sophistication and style on offer, this private charter boat hire is the ultimate choice. 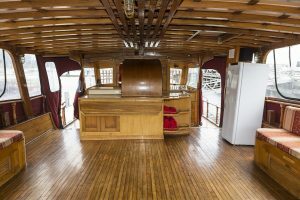 Completely refurbished with luxurious finishes, this former gentlemen’s club makes a statement and offers an absolutely unbeatable tour of the city as you cruise Melbourne. 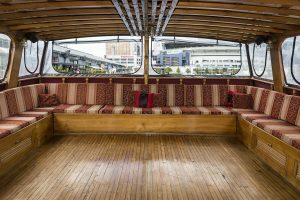 The Oriental Queen is large enough to accommodate 61 guests, but intimate enough to feel cosy with a smaller group. We can customise the music, décorand furniture arrangements to suit the ambience and celebration, so your hens party cruise is exactly as you’d pictured it. From a 3 hour jaunt to an all-nighter, this incredible boat can be chartered for an afternoon or into the wee hours. 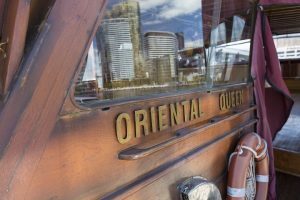 From ladies day cruises with a delicious lunch to an all-night party with dinner, dancing and entertainment, the Oriental Queen is the perfect party boat for any style of hens. We’ve designed comprehensive packages to make luxury boat hire easy and fun, and offer customisable options at every turn. Let our friendly team help you with the details so you can grab a drink and enjoy the big day. 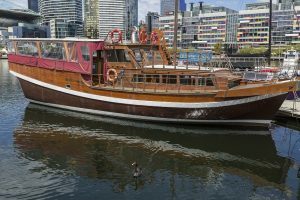 You’ll love the sophisticated charm of this beautiful boat and the views on offer as it cruises the stunning city of Melbourne. Whether you’re cruising by day or by night, it is simply the most unique venue in town. Welcome the next phase of your life with a proper send off to your single days. Our experienced event planners will help you with every aspect of our private boat charters to deliver a memorable day on the water. Give us a call today and book the ultimate hens party boat cruise on board the Oriental Queen.